It is important in a personal injury or a wrongful death case for the client to learn the diferences between life and work-life expectancies to understand how the experts calculate the client’s economic losses for (a) Period 1 (date of injury until the date of trial) and (b) Period 2 (date of trial to the end of the person’s work-life expectancy). Here is a brief explanation. A. 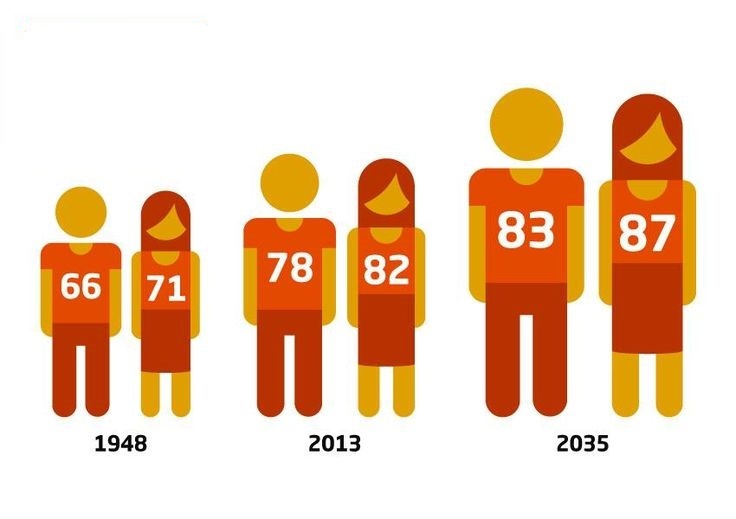 Life expectancy is the statistical number of the number of years that a person (not you in particular) is expected to live based on a variety of factor including, for example, the person’s age, educational background, and race. B. 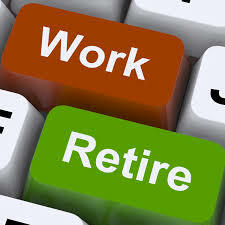 In contrast, work-life expectancy is the statistical number for the number of years that a person is expected to work until retirement. More precisely, it explains and describes the probability that a person will remain active in the competitive labor market and the probability the person will remain employed if he or she choose to remain in the labor market. The sum of these joint probabilities represents the statistically projected number of years of employment, including expected gaps in employment, over the person's remaining life expectancy. What Are The Roles of the Vocational and Economic Experts? The vocational or other experts determine this statistical probability based on multiple factors including, for example, the client’s age, occupation, domicile, health, the nature and extent of the client’s injuries and permanent physical limitations, and the client’s express intent to have remained in the work force before the injury to calculate the client’s economic losses for Period 2 (date of injury to the end of the client’s work-life expectancy). What Are The Sources of The Client’s Average Work-Life Expectancy? The experts rely on tables issued by the U.S. Bureau of Labor Statistics and other reliable statistical sources. A person's work-life expectancy is derived from multiple sources: (a) the treating doctors' opinions about the person's permanent physical limitations, (b) the vocational expert's tests results and studies of the person's educational and work backgrounds, and the doctors' assessment of the permanent physical limitations, and (c) the economist's calculations, which in part are determined from the person's past earnings as shown in on the W-2 forms or federal tax returns. But the projected average work-life expectancy of an individual is not necessarily conclusive where the evidence shows that a particular person, by virtue of his or her health or occupation or other facts is likely to live and work a longer or shorter period than the average person. What Is the Role of th Client’s Attorney? The client’s attorney must engage the best, most qualified vocational and economic experts to help the client recover all past and future economic losses. It is critical that these experts use the same methodologies as they use in making such predictions and calculations in non-litigation matters. The court will reject any expert whose fails the methodology test, perhaps leaving the client with no vocation or economic or experts to testify at trial. Also, your attorney must be aware of those economic experts who work almost, if not exclusively, for plaintiffs or defendants as their bias potential is easily exposed. Certain economic experts who work most for defendants have a regular methods for minimizing the client’s future economic losses. Those experts, for example, (a) use the shortest possible work-life expectancy table, (b) minimize the client’s earning capacity, (c) place the client in an unjustified higher tax bracket, and (d) intentionally ignore the client’s employment or fringe benefits, like fully or partially funded retirement plans; health, dental, and life insurance plans; and paid vacations to mention just a few such employment benefits. Your attorney must therefore learn through proper discovery all employment benefits that the client received while employed. Let Our Law Office Evaluate Your Case. At the Law Offices of Richard R. Kennedy, we have the knowledge and experience to handle personal injury and wrongful death cases. We recognize the importance of gathering all of the facts and information pertinent to the economic losses — past and future — that our clients have suffered. And we know how to gather that information to give to the best qualified vocational and economic experts to help us recover all of our clients’ economic losses. If you or a loved one has suffered harm because of the fault of another, contact the attorneys at the Law Offices of Richard R. Kennedy to discuss your legal rights at (337) 232-1934 or toll free at (800) 440-1934. For more information, please see Personal Injury, Motor Vehicle Accidents, and Maritime Law that is found on our web site www.richardkennedy.com.